An actress won an Academy Award in 1948 for not saying a word. But the actress I feel should have won, spoke with a Norwegian accent. “I accept this very graciously for keeping my mouth shut once, I think I’ll do it again,” Wyman said when she accepted the award. While I enjoy the movie “Johnny Belinda” and think Wyman did a good job, she isn’t the actress I would have picked. Of the five women, I would have picked Olivia de Havilland or Irene Dunne. The movie, narrated by her daughter Katrin (Barbara Bel Geddes), follows a Norwegian immigrant family in 1910 San Francisco as they grow up and face joys and sadness. “For long as I could remember, the house on the Larkin Street Hill had been home. Papa and Mama had both born in Norway but they came to San Francisco because Mama’s sisters were here, all of us were born here. Nels, the oldest and the only boy, my sister Christine and the littlest sister Dagmar but first and foremost I remember Mama,” she narrates. The Hanson family gathered, counting their expenses. And every night the family would gather together, counting their expenses and the money brought into the house. The family never wanted to go “to the bank,” a little box kept in a closet with money that was supposed to be saved to get Mama a warm winter coat. •Dagmar (June Hedin) has surgery and Mama isn’t allowed to see her. “I’m not a visitor, I’m her mama,” she says. 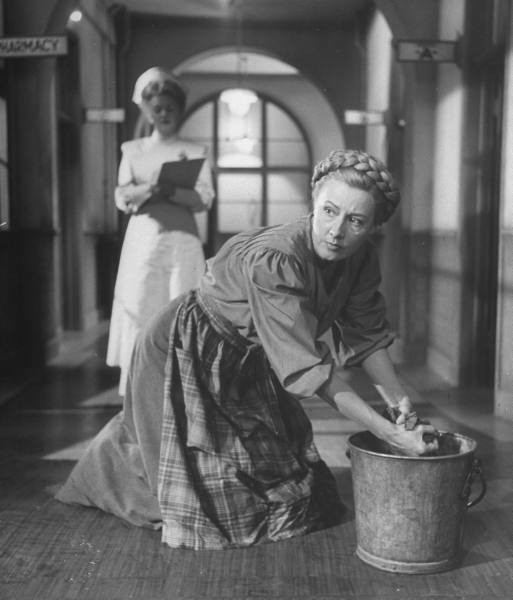 Mama knows Dagmar is afraid staying in the hospital overnight, so pretends to be a cleaning woman and cleans the hospital floors working her way to the children’s ward. She then sings Dagmar, and all the other children to sleep. •Papa (Philip Dorn) is watching as his son Nels (Steve Brown) tries to smoke a pipe for the first time. He lights the pipe for Nels, knowing his son will get sick, and then comforts him when he does-teaching him a lesson in smoking. •Aunt Trina (Ellen Corby) wants to marry Mr. Thorkelson (Edgar Bergen), the shy funeral director, and her sisters make fun of her. Mama makes them stop by subtly reminding them about how one cried all night on her wedding night and the other’s husband tried to run away before the wedding. •Mama (Dunne) goes to see famous writer Florence Dana Moorhead (Florence Bates) to help Katrin with her writing. Mama gives Miss Moorhead, a lover of food, recipes in exchange for Miss Moorhead to read Katrin’s stories. I found Dunne’s role to be heartwarming and believable. In the film she handled situations firmly, with tenderness or humor. The warm nature of the film may not have made it memorable to the Academy, but I like movies about families. I suppose it makes me think of my own and how my mother likes this movie as well. 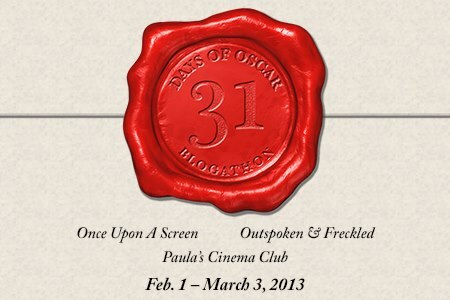 This post is part of the 31 Days of Oscar Blogathon, hosted by Once Upon a Screen, Outspoken & Freckled and Paula’s Cinema Club. It runs Feb. 1 – Mar. 3, in conjunction with Turner Classic Movies’ 31 Days of Oscar. This entry was posted in Reviews and tagged 1948, Academy Award for Best Actress, Academy Awards, barbara stanwyck, I Remember Mama, Ingrid Bergman, Irene Dunne, Jane Wyman, Joan of Arc, Johnny Belinda, Olivia de Havilland, Oscar, Snake Pit, Sorry Wrong Number by Jnpickens. Bookmark the permalink. Jessica, a wonderful tribute to one of my favorites ever! Ms. Dunne could do it all, as you say, with warmth, believability and humor. A true multi-threat. Great post and addition to the blogathon. Thanks! This would be a tough choice for me as I love “The Snake Pit” AND this movie. I would assume their pick of Jane was because this was the first movie where the lead role was unspoken? Something new. But then again, Olivia’s role was mostly through narration. Irene was different in this movie than the most she played. She was strong and leading without being extroverted like we know her. For that, I would have given her the Oscar, too! I concur with your conclusion. 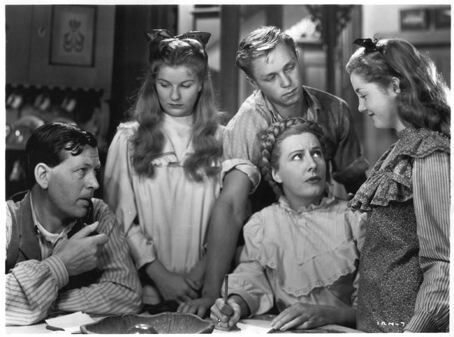 No matter how many times I have seen “I Remember Mama” it never grows old and a large part of that is Irene Dunne’s pitch perfect performance. No competition. I would have voted for I REMEMBER MAMA. if ever I’m feeling down, this is the film that can pick me up. Wonderful cast led by Irene Dunne. Oscar Homolka also memorable . Thank you for highlighting this classic. I love this post and Dunne’s performance! I too would have had trouble deciding between Dunne and de Havilland that year since I admire them both and both of their films, but since de Havilland already had an Oscar, I think my vote would’ve tipped in Dunne’s favor. Her performance in I Remember Mama is so heartwarming, and it’s a reminder of her great range as an actress. I simply can’t believe she never won an Oscar or even an Honorary Oscar. I agree that this is a most overlooked film. Jessica, My vote would definitely have gone to Irene Dunne. Hers is such a fine, understated performance and the film itself is a treasure. Oh yeah, Irene Dunne was fab in this movie. I think I agree with you. Can this please, oh please, be a series? I’d love to hear your thoughts on others who you feel should have won during the classic film era. I thought Jane Wyman was fantastic in Johnny Belinda, but I haven’t seen these other performances. Will have to get on that!